LOCATION.--Lat 41`31'08", long 78`01'40", Potter County, Hydrologic Unit 02050202, at upstream side of bridge on State Highway 872, and 0.8 mi southwest of Wharton. PERIOD OF RECORD.--Water years 1968-80, 1982, 1984 to current year. GAGE.--Water-stage recorder and crest-stage gage. 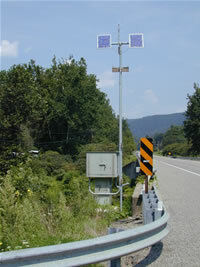 Datum of gage is 1062.68 ft above National Geodetic Vertical Datum of 1929. Satellite telemetry at gage. REMARKS.--Daily discharge not available prior to Oct 1, 2018.